The role of the 124 Street Business Association is to work with existing and new businesses on the street to attract customers and enhance the area by various means. 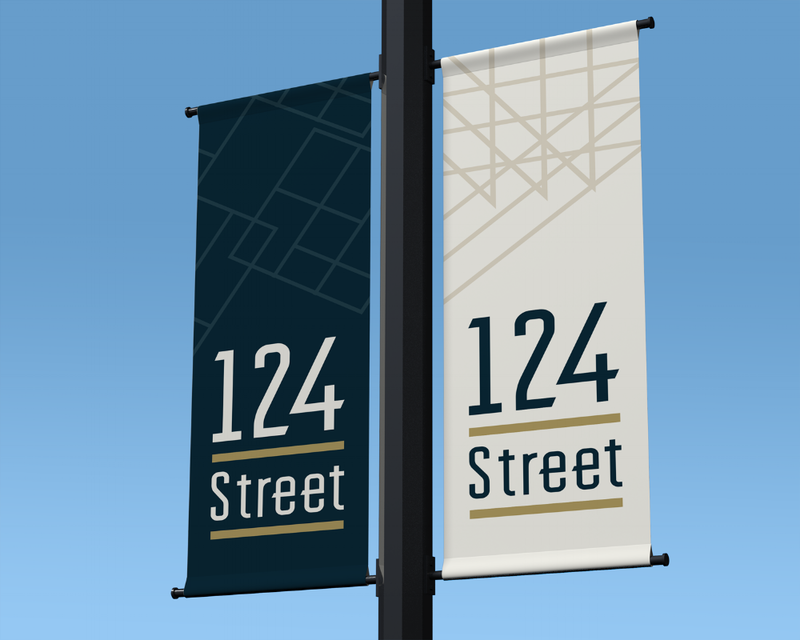 Central to this project was a redevelopment of their logo and visual elements to reflect the vibrant character and diversity of the 124 Street business community. We worked with the 124 Street Business Association Marketing Committee to evaluate their existing brand and review their brand development package developed by Group of Rogues. The scope of work included the design and production of the organization’s logo, brand style guide, and design concept templates.